Established in 2006, a sole proprietorship named Frenchline Industries was formed to provide Structural Steel and Communication Towers to various destinations in the world. The man behind this establishment, Mr. Robert French has a vast knowledge on the steel industries specializing in communication towers and structural buildings. The main duties that were provided by Frenchline at the early stages was supplying and fabricating Mast sections for their many customers. After 2 years of growth, Mr. Robert French decided it was about time to step up the next stage of advancement, By Founding a Proprietary limited company named Frenchline Industries Pty Ltd.
Frenchline has now established relationships within the building industry and are now able to provide structural fabrication of many building items such as steel trusses, columns and beams along with communication towers worldwide. 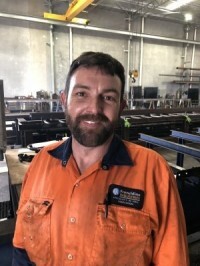 Now managed along with son Shannon, Frenchline Industries Pty Ltd can provide Drafting & Installation services making them one of Perth's best-up-and coming steel fabrication companies. We are fabricating monopoles, Poles, Shopping Centres, Warehouses and anything really to do with steel. In order to equip the company for up and coming challenges, the management at Frenchline will continue to work out further plans to place the company at better competitive ground and provide services to meet their client's satisfaction in a timely and efficient manner not compromising their quality in their products. 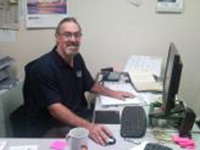 Bob opened Frenchline Industries in Novemebr 2006 with at least twenty five years experience in the Steel work industry. He is a Boilermaker / Welder by trade. Having worked in the building sectors in the United Kingdom and Australia Bob entered the Shipyards in Belfast in 1972 leaving that company in 1975, where he was a welder he returned to Australia becoming a sub contractor building shopping centres. In 1985, he joined Jennis & LeBLANC Communications, as a boilermaker / Welder, for Communication and steel Industry. The name changed and so did Bob undertaking his role as Foreman of LeBLANC Communications Australia. He was foreman of approximately 10 employees and decided to leave the company and start his own business Frenchline Industries in 2006. Mary started in Belfast as a secretary and then decided to leave to travel to Australia with her family. She decided it was about time to change her career as she was now settled in Australian lifestyle and started with Telstra as a busy switchboard assistant making new friends along the way. She then decided to leave and set her ventures for Atkins Carlyle as a purchasing Clerk and stayed with Atkins for a while until they started making changes in the office and was employed by All States Diesel where she handled the store and Purchasing queries. Mary then decided it was about time to strive for something new. 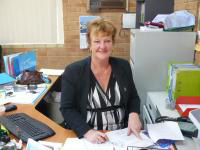 With all her knowledge in various field Bob and Mary decided to start Frenchline Industries in 2006 where she helps out where ever she can taking on the role as head administrator and Accounts contact. Shannon started with Frenchline Industries in April 2007 with at least 14 years experience behind him. He is a boilermaker / Welder by trade. Having worked in Malaysia and Australia he has a vast experience in the steel business. In 2000 he worked with LeBLANC Communications which sent his horizons abroad. He was employed as a Boilermaker but learnt a variety of jobs while working there. He was sent to Malaysia for 1 year and was workshop manager to 40 employees. He then decided to return to Perth and was given the role as a Draftsman. He has worked on various jobs with LeBLANC drafting towers and helping out in whatever way he could. He left LeBLANC to expand his horizons and help his father out running Frenchline Industries In 2007.